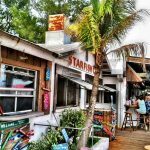 There are dozens of quality restaurants located on AMI from Bradenton Beach through Holmes Beach to the City of Anna Maria. 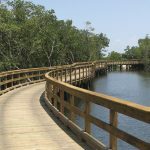 People visiting for the first time may overlook the nearby Historic Cortez Fishing Village which is a walk, bike ride or short drive from Runaway Bay Vacations. 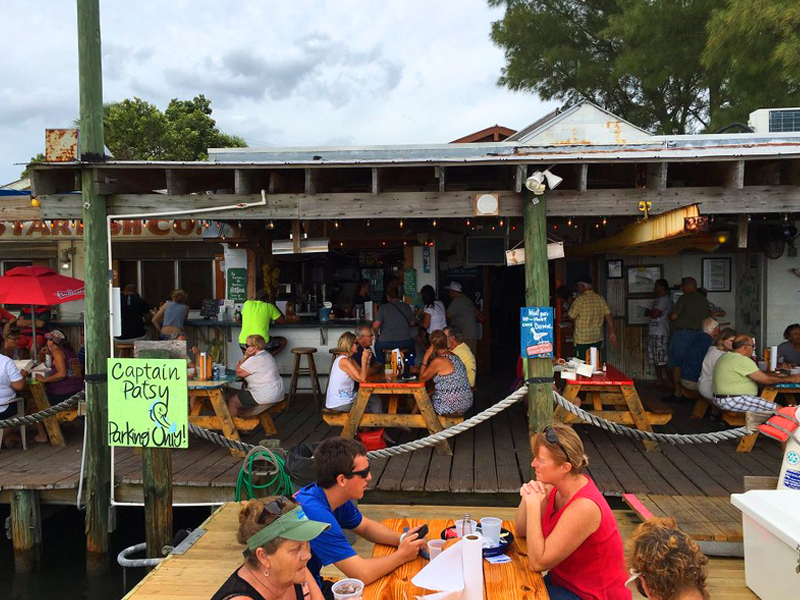 Cortez is located on Sarasota Bay and is one of the last remaining fishing villages on Florida’s southwest Gulf coast. 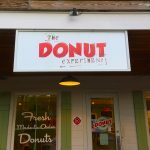 Below are my favorite casual dining spots in Cortez Village in no particular order. Tide Tables is located at the base of the Cortez Bridge heading off Anna Maria Island. 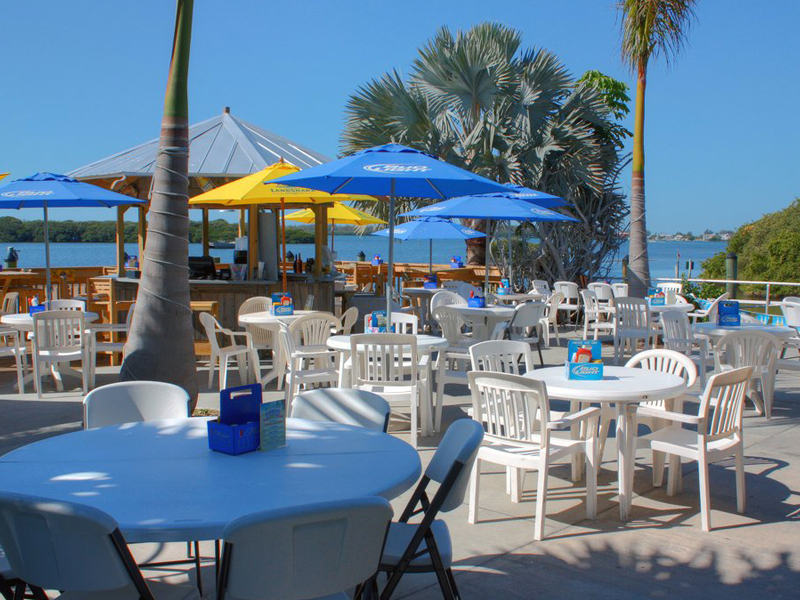 It is marina side with outdoor tables, an outdoor bar and inside dining options. 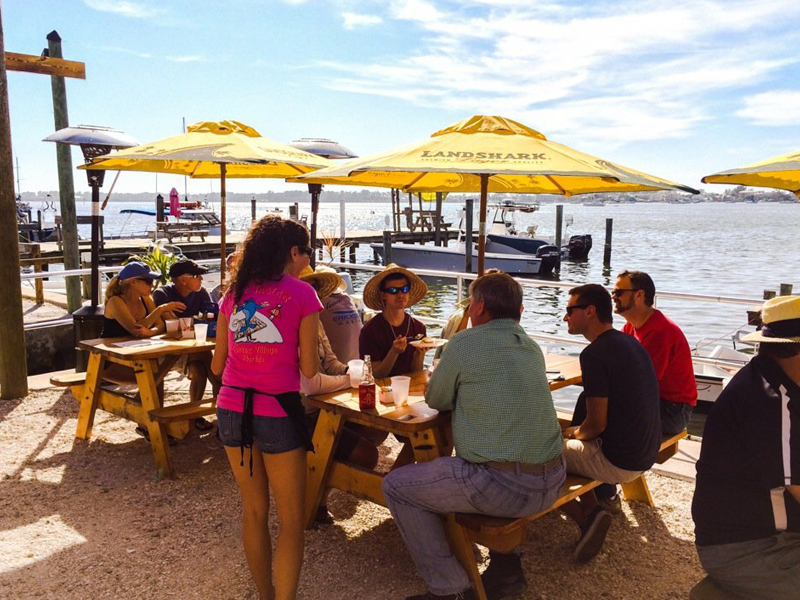 The atmosphere is casual and comfortable with picnic tables and cold beer. I enjoy riding my bike over the Cortez Bridge but there is also parking available for those that wish to drive. The hours are 11:30 AM – 8 PM so lunch and dinner are options. 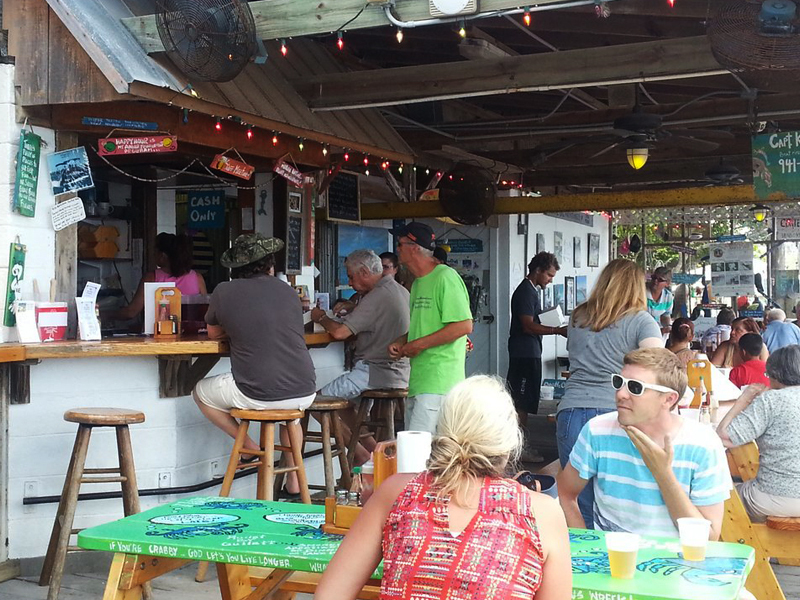 There may be a wait on the weekends or during high season but you can enjoy a cold beverage and watch the boats go by. 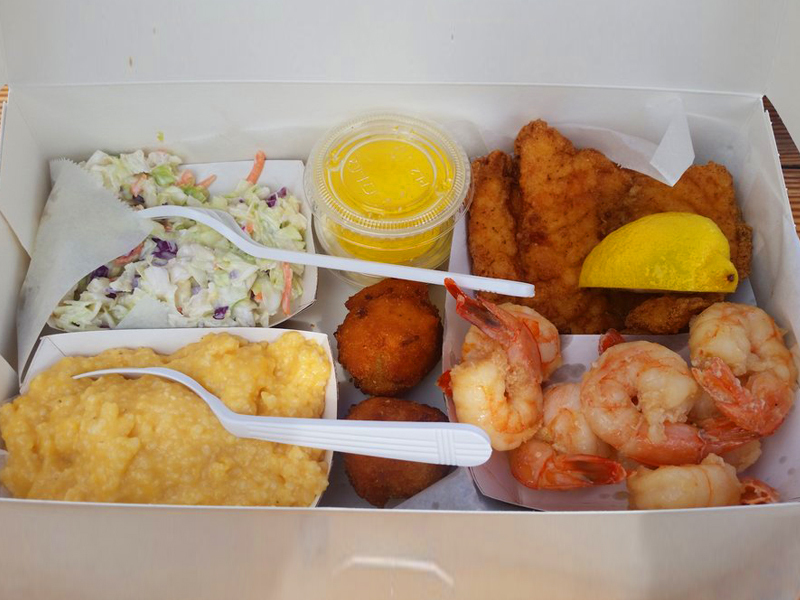 The menu is mostly fresh seafood caught locally with your preparation choice of fried, char grilled or blackened. 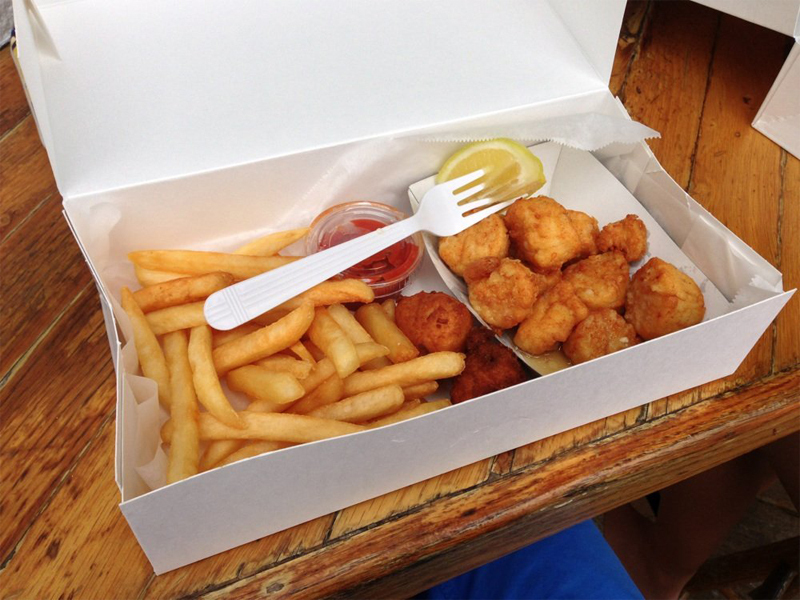 The baskets range in price from $10.95 – $20.95 and include coleslaw and french fries or baked beans. For non seafood lovers there are BBQ ribs, mojo chicken and a beef burger. I especially like the choice in the size of the baskets: Low Tide (smaller portion) or High Tide (larger portion). 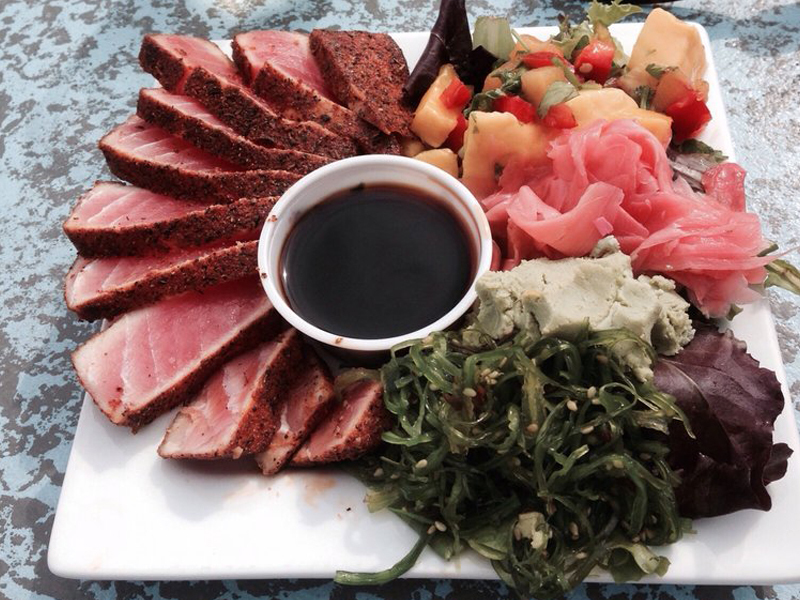 The food is flavorful and always fresh. 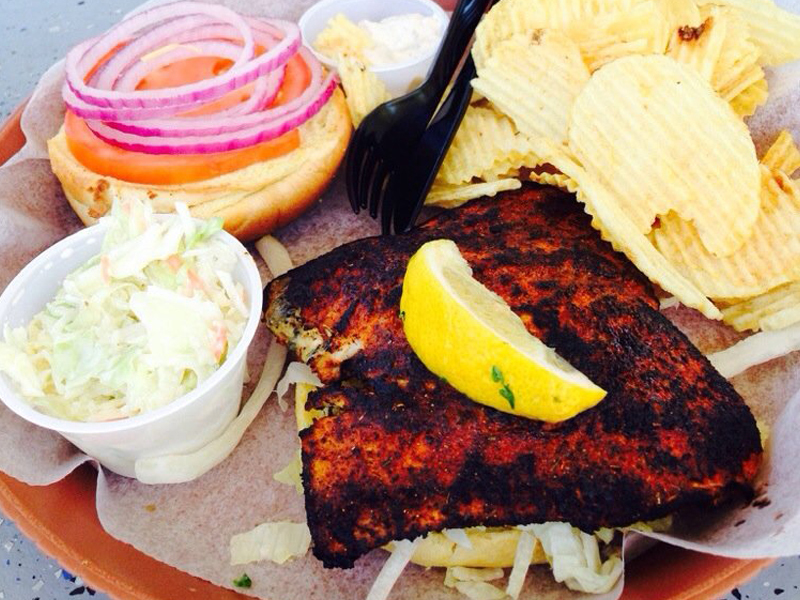 My favorite is the char grilled grouper basket with their fresh cole slaw. This is a true old world Florida experience. 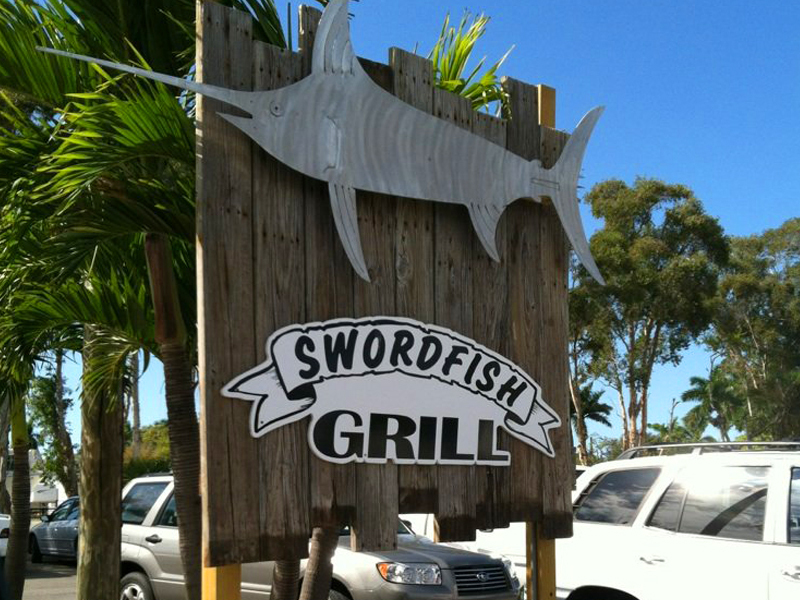 The Swordfish Grill & Tiki Bar is located waterfront in Cortez Fishing Village. From Runaway Bay Vacations you may drive or bike over the Cortez Bridge to get there. 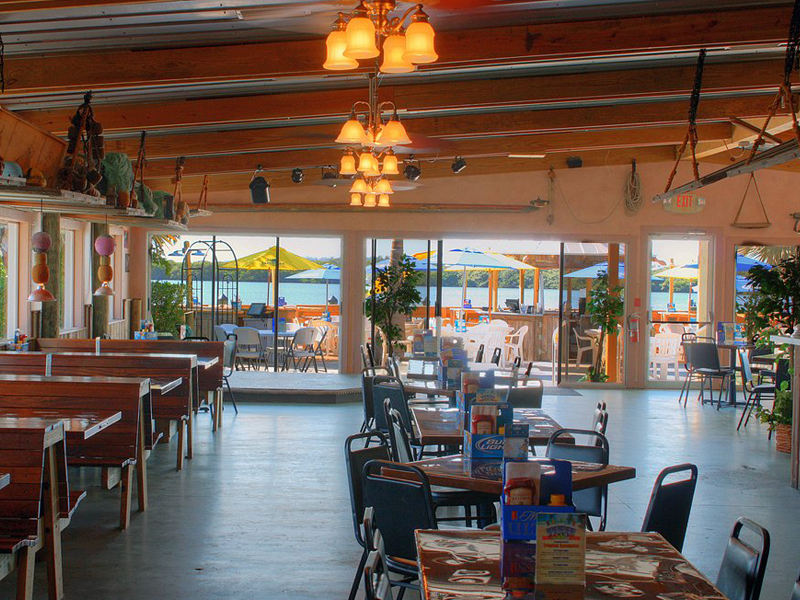 The restaurant has a casual vibe and there is a large outdoor deck and tiki bar with a beautiful view. Every Sunday there are events held all afternoon with live music which can’t be missed. Sitting outdoors listening to music with a cold beer and fish taco is the perfect way to spend a Sunday Funday. The menu features lots of seafood, of course, but also chicken, BBQ ribs or steak for the non seafood crowd. 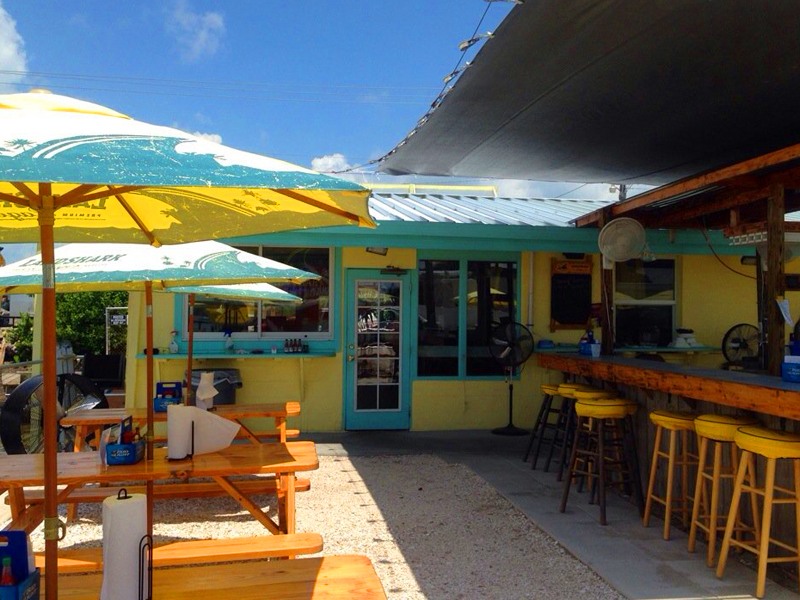 The menu includes a good choice of appetizers from Bahamian Conch Fritters to Fried Green Tomatoes. Raw bar items are available as well as a variety of salads. Mahi Mahi tacos and several sandwich choices range from $11 – $14. Entree prices are $18 – $24 and come with a starch and vegetable. The chicken parm sandwich is so large it can easily be split between two people. It is a very satisfying and filling choice. But for you fish taco lovers, the Mahi Mahi taco with pineapple slaw is amazing. 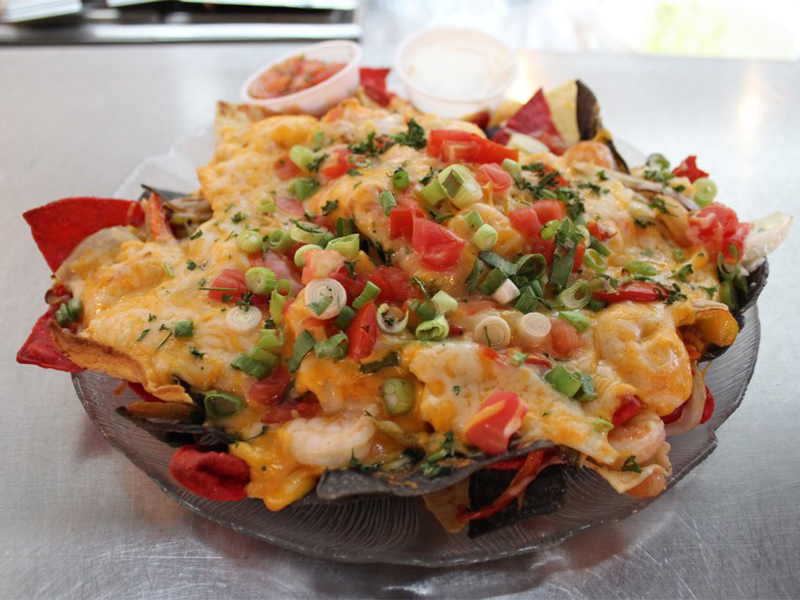 They are open 7 days a week from 11 Am – 10 PM so be sure to stop by for a bite. Copyright 2019. All Rights Reserved by Runaway Bay Vacations.